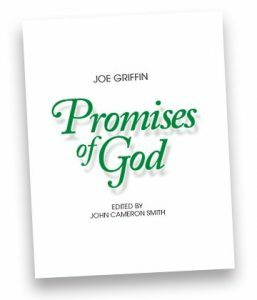 Griffin’s study on the basic doctrines of the Christian faith was first published in 2005. This series in four volumes contains reprints of his pulpit notes from the 1989 Basics Series. Book 1 is an introduction to the logical rationale that concludes there is a God. This leads to a discussion of the plan of God, the three Persons of the Trinity, and divine essence. Finally, the entry of mankind into the plan of God is presented followed by his spiritual fall in the garden of Eden. Nine false approaches to the gospel of salvation are analyzed. The importance of distinguishing the difference between spirituality and carnality is imperative for new believers to understand. The parable of the prodigal son clearly demonstrates this dichotomy. The passage demonstrates that the self-righteous elder brother committed far more sins than did the prodigal. The causes of carnality, lust patterns of the sin nature, and recovery of spirituality are explained. Safe to Die? concludes with a review of studies covered in the first two books. Bible doctrine is the thinking of God related to the human race. Nothing is more important than knowing what God thinks and understanding His policy. Know What God Thinks covers the importance of doctrine, dispensations, mystery doctrine and concludes with a study of the Faith-Rest Drill. Prayer is the unique prerogative of the royal priesthood. It is the divinely developed system of communication between the royal family and God the Father. Does He Hear My Prayer covers the Biblical way to pray, types of prayers and reasons why prayer goes unanswered. The book concludes with a review of doctrines learned in all four books. Forty Proclamations presents succinct definitions of forty core doctrines that are essential for believers to understand. In addition, the book contains copies of the Declaration of Independence and the United States Constitution. One Day at a Time is based on the doctrines of the Christian faith as taught in the 1989 52 lesson series, "Basics." The objective of this book is to present the essential doctrines in more detail than the four basic books, which function more as study guides to be utilized along with the MP3 recordings of the original series. 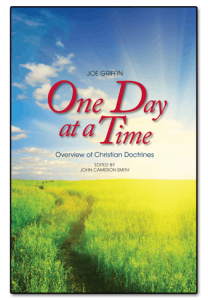 One Day at a Time expands on the subjects covered in the 1989 series, and incorporates more advanced biblical doctrines. In late October of 2005, Joe Hunt was diagnosed with terminal cancer. He believed that if Christians learn what God has revealed in Scripture, it will enable them to overcome life's toughest challenges, even death. In Joe's words, "This attitude did not just come to me out of the blue, but is the culmination of twenty-five years of following a plan that prepared me for this moment. In the following pages I want to share with you some of the things I’ve learned about this plan and how you can come to know it too." Faith-rest is a basic problem-solving device that relies on God’s biblical promises to confront and endure all circumstances in life. It is a temporary solution for preserving the believer’s spiritual relationship with God until more advanced biblical doctrines are learned and applied. This publication is designed to assist the believer in making that advance. The ebb and flow of history is controlled by Christ. The principle He uses to prosper or curse a Client Nation is the size of its Pivot. Thus, wherever the largest gathering of spiritually advancing believers exists in history is where the greatest degree of prosperity and divine blessing occurs. National prosperity first existed in the Jewish Client Nation of Israel under the reign of King David, followed later by Gentile Client Nations throughout Europe, and eventually in the United States of America. 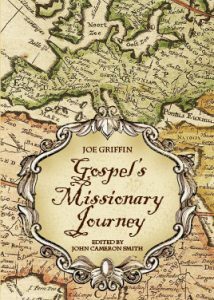 This book honors the influence of spiritually mature believers by revealing the dedicated efforts and successes of dedicated Christian missionaries in the gospel’s journey from the Apostle Paul in the first century A.D. to present-day America. Mankind’s original authority structure was the organized humility of the home and the training of children by their parents. If a child rejects parental authority, he will later reject other forms of divine authority. If this anti-authority attitude is developed early in life, submitting to the authority of an invisible God becomes less likely. 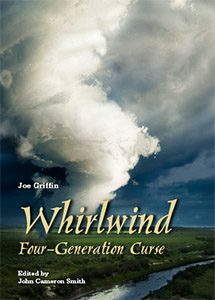 The Four-Generation Curse is imposed due to collective decisions by the client nation’s Pivot, each generation choosing to spurn or ignore Christ, the authority of God, and the power of His Word. Only by personal love for God and the desire to learn, defend, and apply His inerrant Scripture can the believer have invisible historical impact that our nation’s current disorder and instability urgently needs.